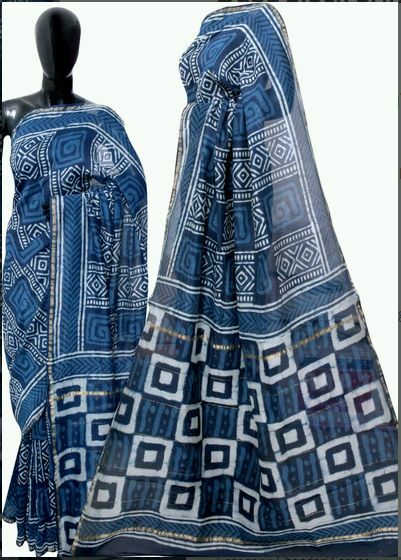 We are positioned amidst the renowned names supplying finest array of Dabu Block Print Chanderi Saree. We offer an invoice stating the payment terms as well as other details required for the final payment. In addition, our transaction modes are simple, safe and reliable.